This morning I saw an article in my BlinkFeed reporting that a source said Miley Cyrus and Liam Hemsworth are planning to get married in Australia this summer. I am so freaking happy for them! I really hope they make it down the aisle together, and I look forward to seeing them all cute and lovey-dovey in photos all over the tabloids this summer. I also can’t wait to see what Miley’s dress will look like! 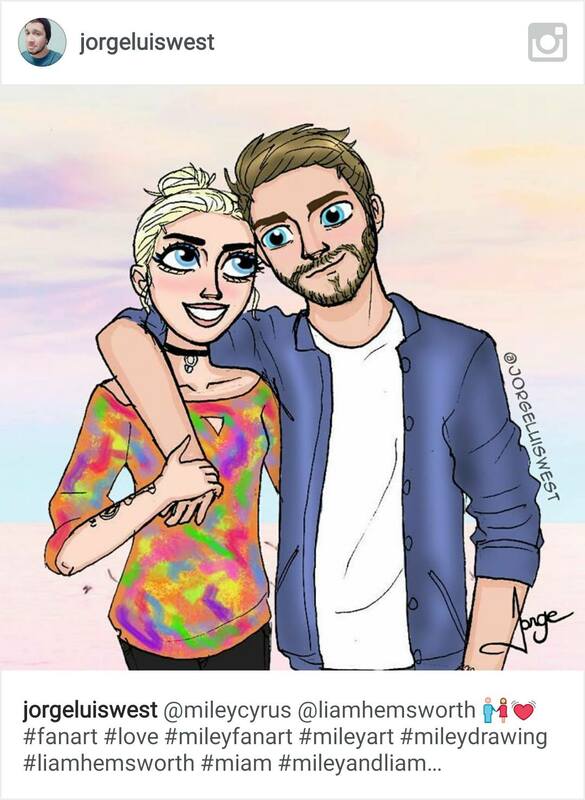 Enjoy this Miam cartoon fan art by Jorge Luis on Instagram!